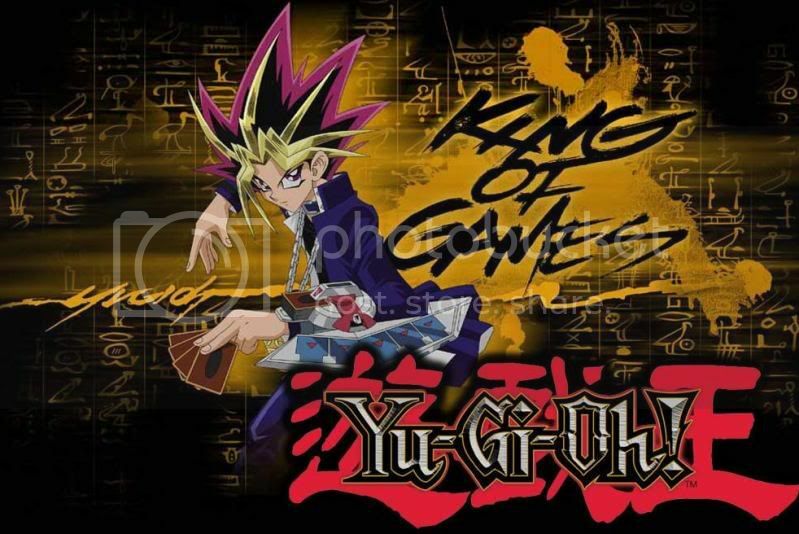 The recent YCS has been the hot topic in the yugioh community as Dark world claimed its first victory. Even since the release of the structure deck, its popularity has been on the decline, especially so in times whereby dino rabbit has been dominating in TCG. the use of dark world this theme itself is already a surprise to many of us, whats more a special tech is revealed. reckless greed, a card many have already forgotten its existence. Effect: Draw 2 cards, and skip your next 2 Draw Phases. the use of this card really shocked many of us, and i am surprised too. however on a deeper analysis, this card is really powerful when tech correctly in the suitable theme. firstly, ask ourselves, where do we usually get our resources from? every turn, we "replenish" our resources by drawing a card from the deck during the draw phase. which means, cards drawn from the deck are our resources. the more we draw, the more resources we have. the more resources we have, the more combos we can execute, and the faster the game ends in your favour. just try to recall how many times your opponent asks about your hand size in a duel and you will get my point. still dont get it? look at car card d now. ok, now register that in your mind now. if, within 1 turn you are able to draw as many as 4 extra cards, basically you are 4 TURNS AHEAD of your opponent. draw 6? you are 6 turns ahead of your opponent. get the logic? no? re-read the post. in a game whereby everything is about speed, getting ahead of your opponent is a winning factor. by getting 4-6 turns ahead of your opponent, you can basically control from there on. compare the amount of resources with your opponent and you will see why. having saying that, not every theme fits the card. one main reason why dark world fits this card is that, despite having the draw back that you must skip your next 2 draw phases, gate of dark world allows your to draw EACH TURN. so what if you skip 2 draw phases? you can always rely on gate of dark world to draw! not to mention that 2 or more copies of reckless greed stacks and it only skips 2 draw phases. alright, so i think that about it. wanted to post this long ago but cannot take any time out from my studies to do it. so hope you enjoy this post. asia is coming, all the best!haha! Nice Post. I didn't expect "Reckless Greed" so powerful in a Dark World Deck. I'll try it in mine. 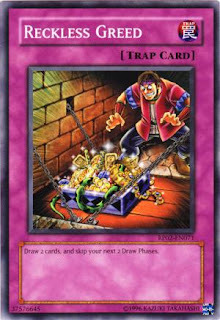 I stopped teching this card about 4 formats ago when the use of Royal Decree and Trap stun were on the rise because it came down to all decks having some sort of trap blocking out. I myself had been contemplating the best decks that used to abuse and remembered how many OTK decks that defined formats used this card, Doom/Demise OTK, CHimeratech OTK, Dark Gaia OTK all three of these themes and many off the current meta still runs by the same logic, Get a Big Monster out to inflict the most amount of one shot damage( this was their theme in because hand traps like GOrz and Trag were the worst things they had to worry about), however the theme most run by is Swarm for win which means picking the best turn to make that big play. yah agree. so stall till you have enough resources, activate reckless greed ftw!